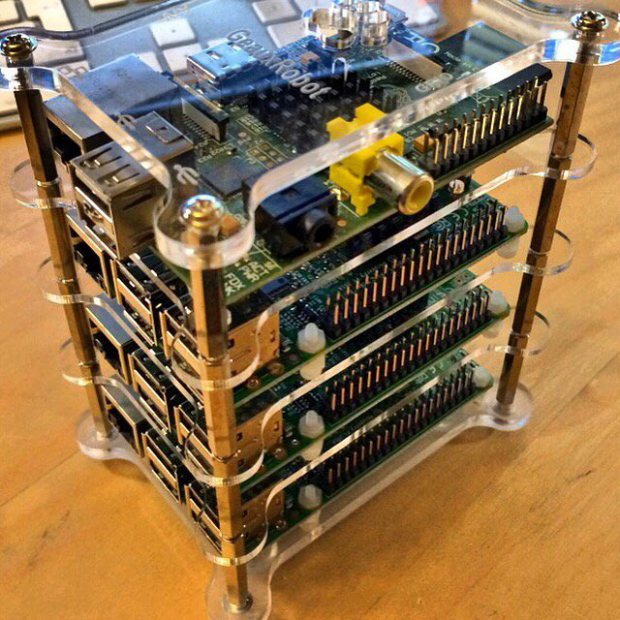 Build a Compact 4 Node Raspberry Pi Cluster #piday #raspberrypi @Raspberry_Pi « Adafruit Industries – Makers, hackers, artists, designers and engineers! 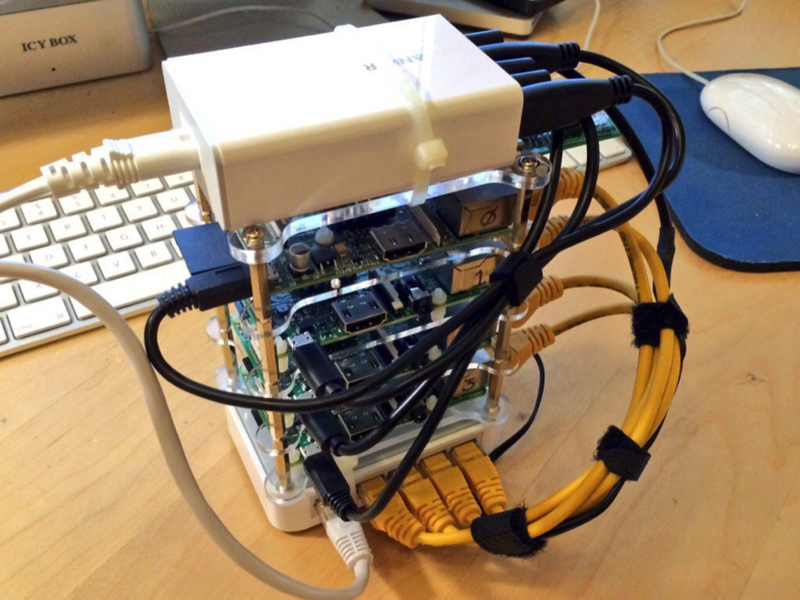 Over the weekend I sat down and built a small Raspberry Pi cluster consisting of 4 nodes. I used three Raspberry Pi 2 boards for compute nodes and an original Model B for the head node. I wanted the cluster — more commonly known as a ‘bramble’ — to be as compact as possible, with just two cables coming out, one for power and the other for network. I made use of a USB hub to power the boards, and a small Ethernet switch which I could hack to be also be powered from the USB hub rather from a separate wall wart. It’s hardly the biggest cluster built from Raspberry Pi boards, as far as I know the 120 Pi cluster built by the folks at Resin.io is still the biggest built, although since it’s actually 5 independent 24-node clusters, possibly the 66-board bramble built by GCHQ still takes the title. However, even with just 4 nodes my pocket cluster is big enough for what I want, which is as a testbed for some distributed computing work I’m doing. The small cluster sitting on my desk lets me test code out before deploying jobs to the much more extensive, and expensive, cluster I’m using for grunt work on the project.